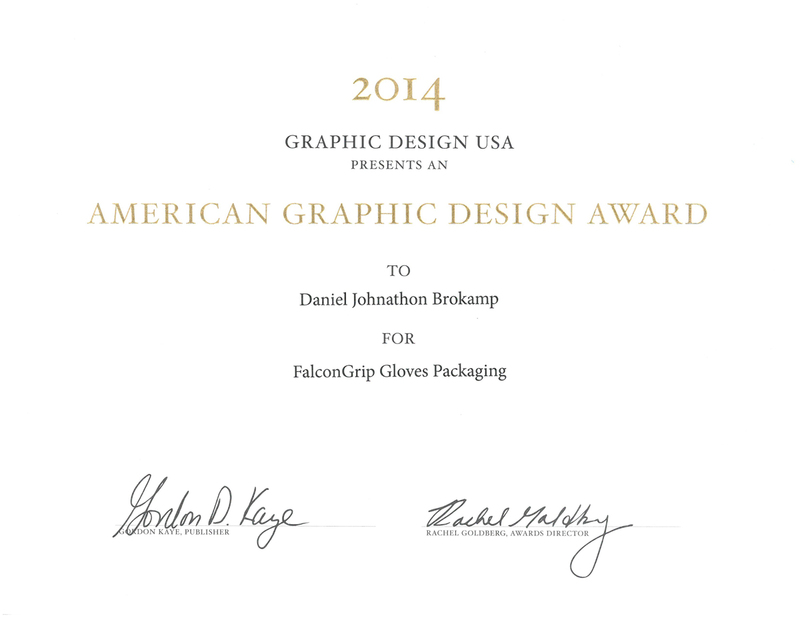 An exciting achievement was winning a Graphic Design USA national award for my FalconGrip Gloves packaging design. 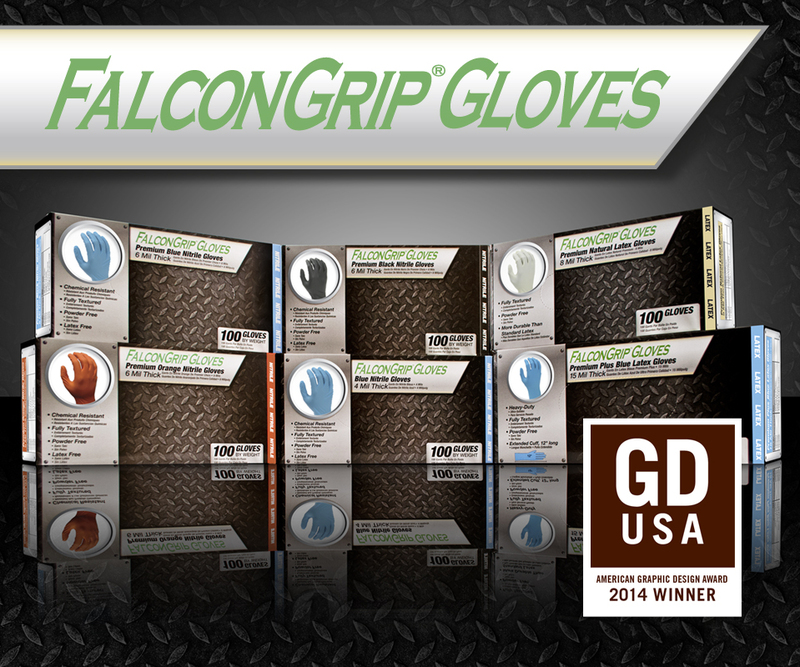 This award gets over 8,000 entries each year from every industry and only 15% of those received this honor. So needless to say I was very pleased to hear that I would be included in this prestigious group. 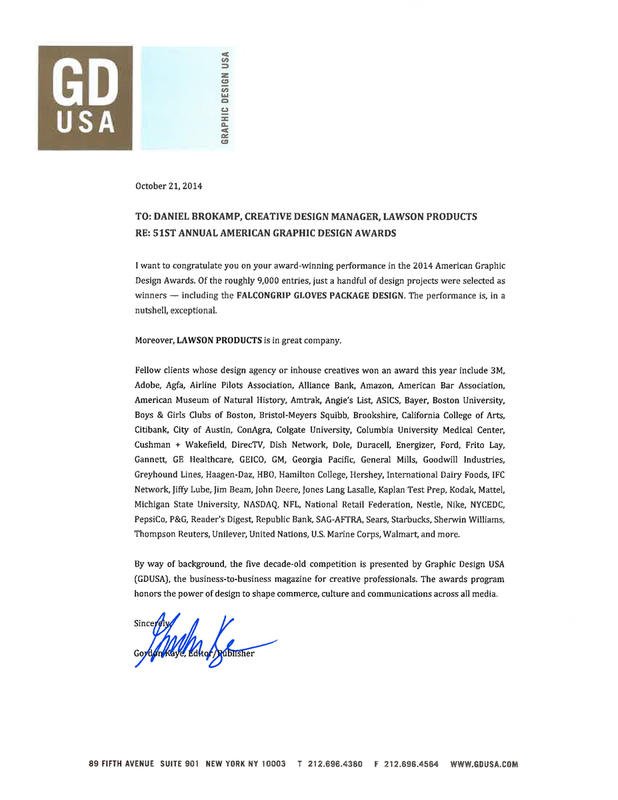 I was also glad it brought good exposure for the Lawson Products company.